Framelock Barriers™™ are easy to assemble in 3 easy steps! 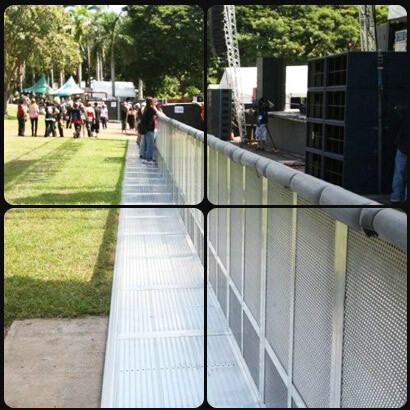 Stand the barrier up. One person holds the back of the barrier, the other slowly eases the floor section to the ground by placing their finger in the side pin hole and bending their knees.